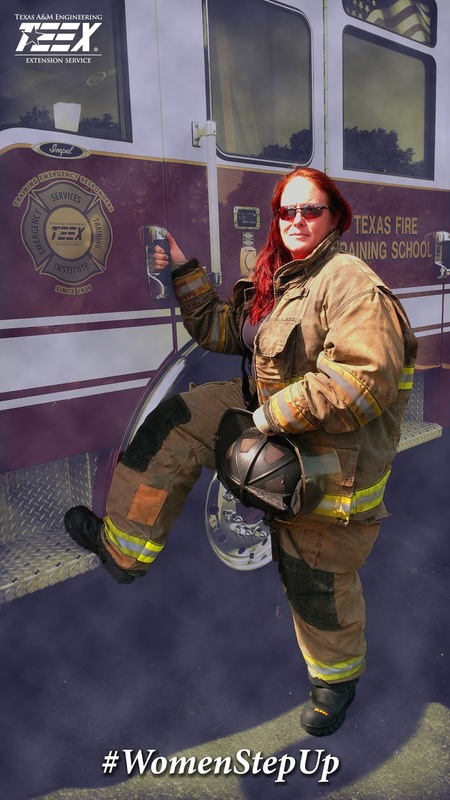 Before coming to work at TEEX, I worked as an operator at Chevron-Phillips Chemical, in a plant, working 12-hour shifts, and I was on the “initial response team.” One night I got a page to respond to help set up a landing zone for a LifeFlight. After the ambulance arrived and while we were waiting for the LifeFlight crew, it was obvious that the injured person was in a LOT of pain. And in my job at that time, I couldn’t get close enough to get hands on, I couldn’t do anything to help him. I couldn’t even help the people who were trying to take care of him. That’s what I didn’t like and that’s what got me into the Fire Service. I did not like being in that passive position while someone was suffering. That’s how I became involved in Industrial Emergency Response. I also wanted to help in my community and not just at the plant, so I put in an application at my local volunteer fire department. That was the beginning of my career in the fire service and what has led me to where I am today. There are definitely physical challenges in being a Firefighter. But being a woman, I also had the advantage of being smaller than most of my fellow responders which meant that on rescues I could get into places that the guys couldn’t fit. I could move around better in small places. 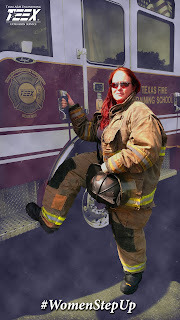 Most men are very accepting of a woman in the fire service. Of course, there are a handful of people who don’t think you’re up to the job so there’s always the challenge that you’ll have to prove yourself to someone. Remember, you don’t prove yourself in words; you prove yourself in action. It’s not by arguing with someone that you’ll get ahead. It’s by making up your mind that you can do something and then you go out and do it. Probably the greatest lesson I’ve learned in 16 years of service is that you can’t fix everybody or everything. That’s not only in fire response but also when training firefighters. If you can’t fix a problem then you’re disappointed but can hopefully handle the disappointment by talking about it. That may not fix the problem, but at least it helps you handle it better or gives you a better perspective. If you think that you’d like to be a firefighter but have no idea where to start, visit your local fire station. Ask them for a tour. Ask them to sit on a truck. Ask them to ride out on a truck if your station has that program. The only thing that is stopping you from reaching your dream is not stepping up and asking.